I don't know if this was started already but I thought I would start one just in case. C&C cages are the best cages for guinea pigs. I've personally used them for over 5 years and love it. 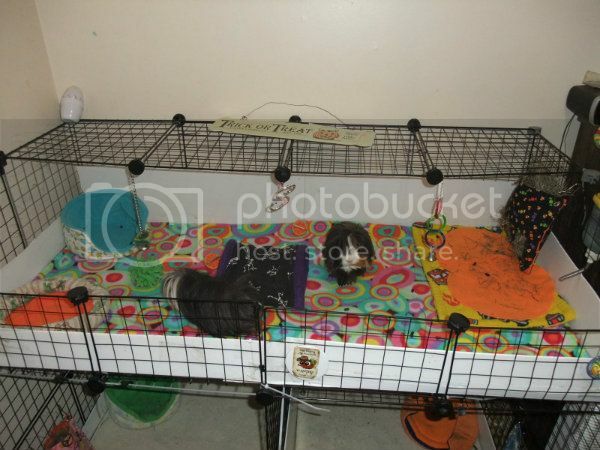 Romeo and Odin are housed together and here is their setup this week. I use Fleece liners (just two pieces of fleece sewn together) and uhaul under it. I like this better than liners with uhaul or other material in the middle because they are easier to wash and replace. I got this liner from Piggiepopshop on etsy. Great gal, great prices and great work.